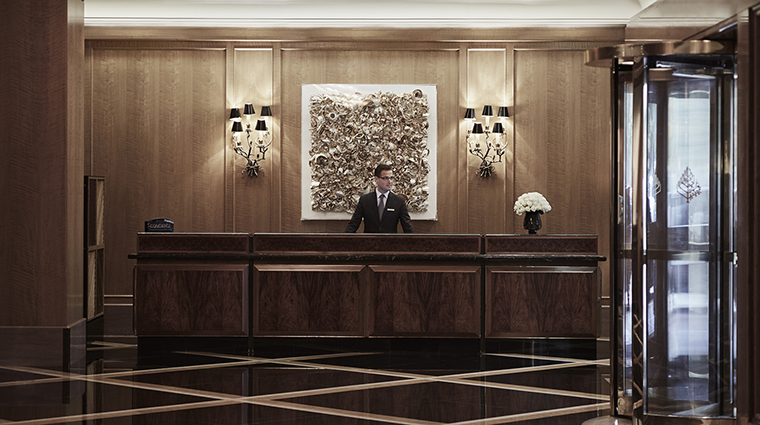 When it comes to superlative service, no one does it like the Four Seasons, and the Boston outpost is no exception. Guests at this Five-Star hotel (which lies directly across from the Public Garden and the adjacent Boston Common) can expect to be spoiled. 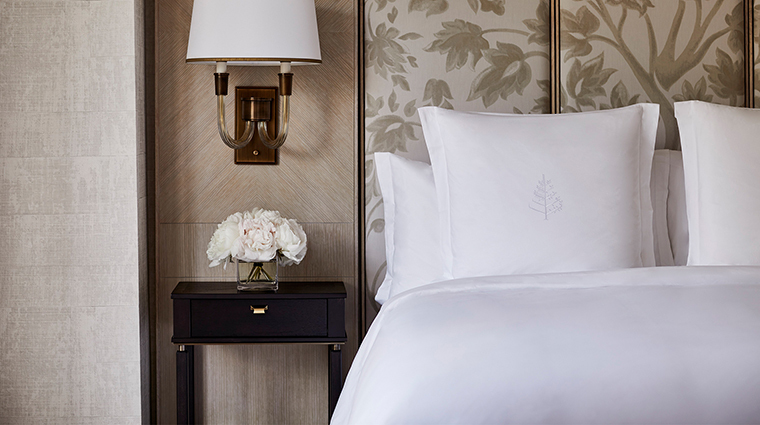 The guestrooms, all renovated in early 2017, are tranquil and open, emphasizing the gorgeous views of the Garden and equipped for comfort with plush slippers and robes, down pillows, and new Four Seasons beds. 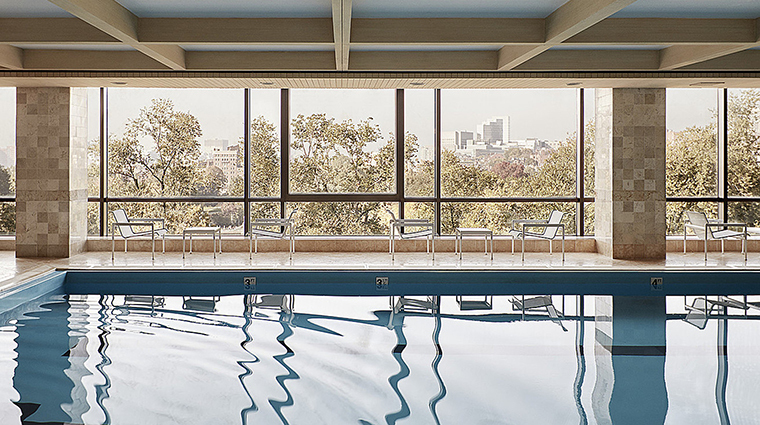 A dip in the 8th floor indoor pool, which overlooks the Garden and State House, provides the perfect pre-dinner pick-me-up before enjoying the elegant Bristol Restaurant and Bar. Affectionately known as 'Boston's Living Room', the Bristol is a tasteful dining experience where the Boston power set comes to dine. 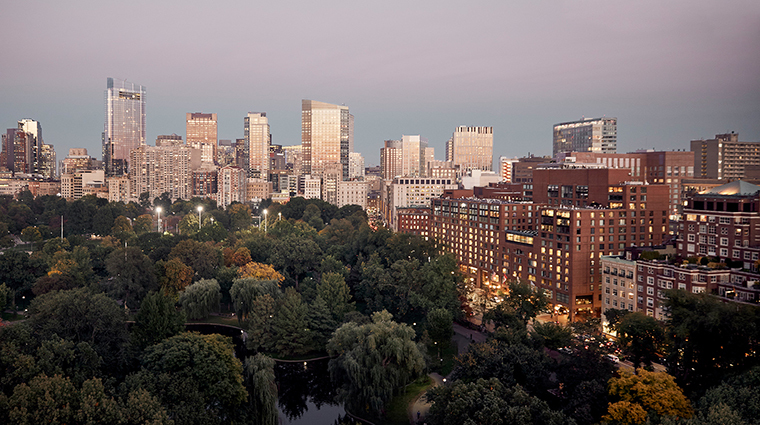 The Five-Star hotel takes pride in its views and its pool, and many of the guestrooms overlook the Boston Public Garden, the oldest botanical garden in America. 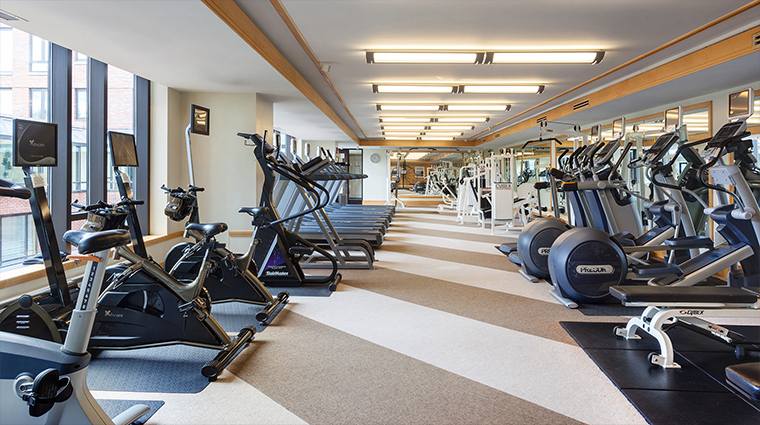 The Four Seasons Hotel Boston is one of the most family-friendly accommodations in the city, and you’ll likely see plenty of kids running through the hotel with backpacks and maps ready for their big day in Boston. 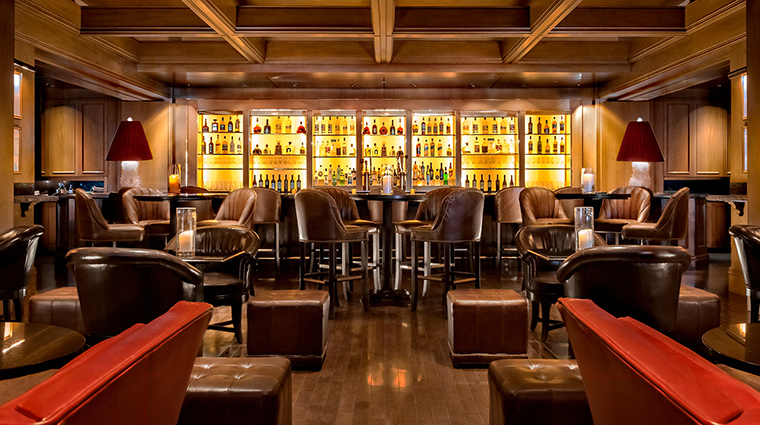 The Bristol is commonly known around the city as “Boston’s living room.” This restaurant and bar, the only bar in the hotel, is open for breakfast, lunch and dinner, and features a large fireplace and some of the best people-watching in Boston. 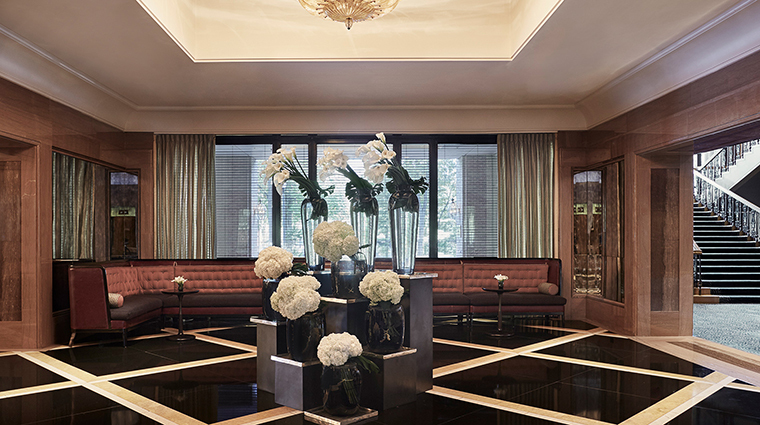 The concierge is one of the Boston hotel’s highlights. 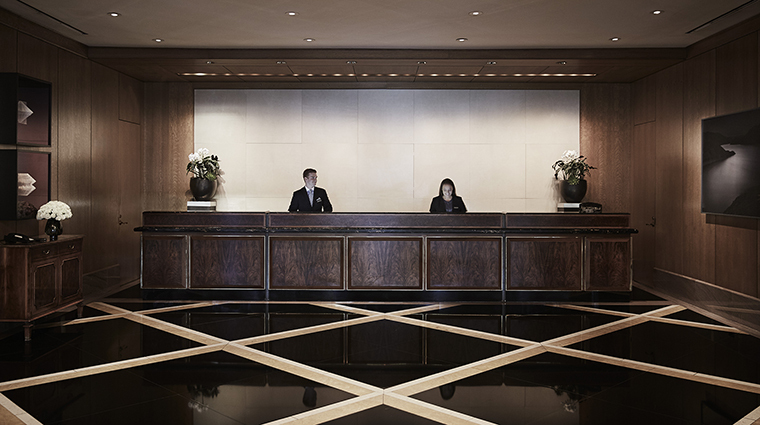 Armed with iPads and apps, they are ready to plan every moment of your day, whether you need the latest gadget from Apple or tickets for a Duck Tour (the best way to tour the city), the concierge can get it done. 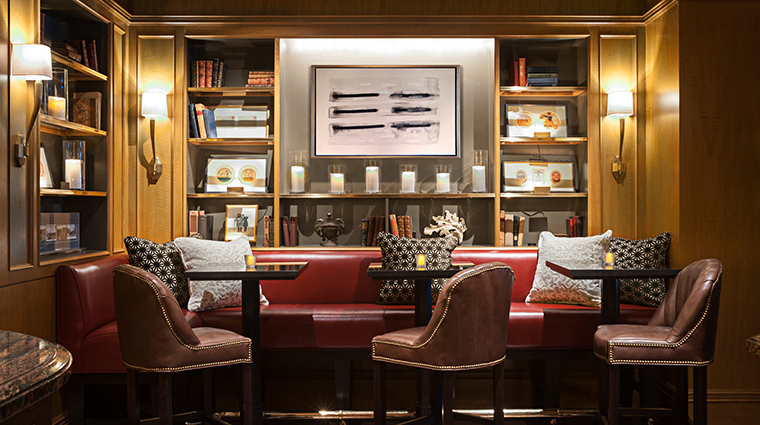 Four Seasons Hotel Boston pays homage to the city’s history in unique ways. Notice the doorknob on your guestroom, which is a replica of the gold knobs on the brownstone homes in historic Beacon Hill. While there are no coffee pots in the rooms, complimentary coffee, tea, pastries and fruit are served in the lobby every morning from 5 to 8:30 a.m. on weekdays, and from 5 to 10:30 a.m. on weekends. 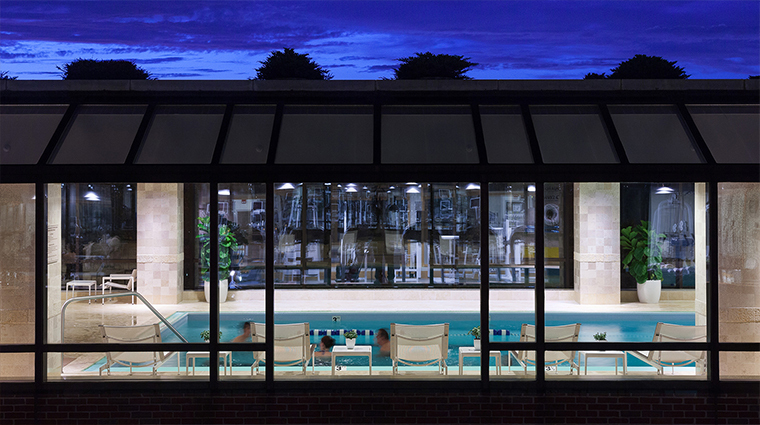 The locker rooms offer a steam and sauna area, and the pool, while not very big, features amazing views of the Boston Public Garden. There is also a whirlpool in the pool area, and you can order food and drink to feed your appetite after a swim or workout. Four Seasons Hotel Boston believes that if the kids are happy, the parents are happy, which is why every room occupied by kids will have a welcome amenity (baskets filled with games and puzzles) especially for them. 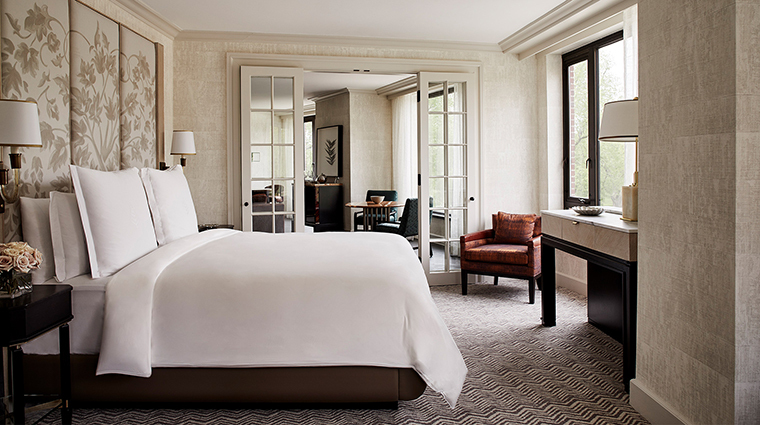 Four Seasons Hotel Boston offers of 273 guest rooms, including 62 executive suites and 15 luxury suites with most featuring views of the Public Garden, Beacon Hill and the gilded dome of the State House. 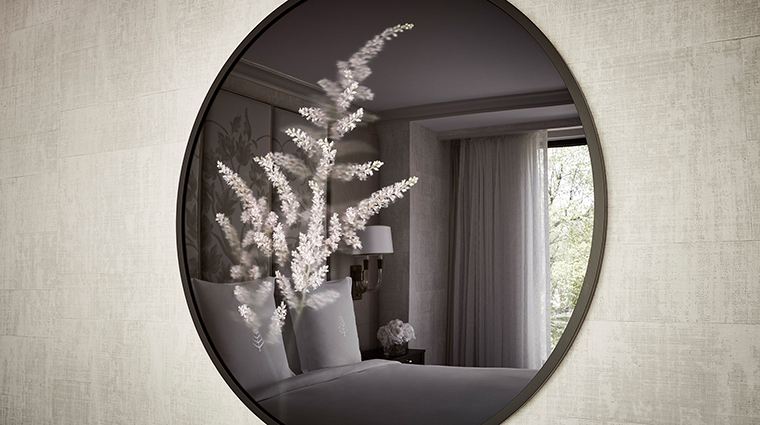 The guest rooms at the luxurious Boston hotel are traditional, simple and sophisticated. 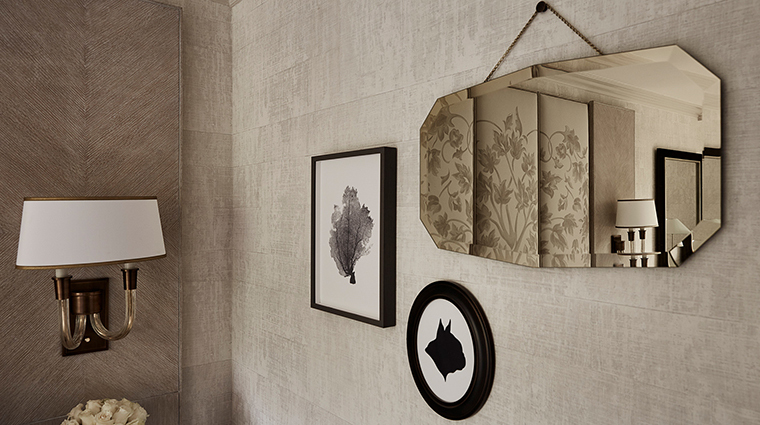 The minimalist design and decor is fused with elegant accessories and touches like decorative lamps and full drapes. Each guest room comes equipped with an LG flat-screen TV and in-room DVD player. In addition, you’ll find either an iHome or JBL radio system. 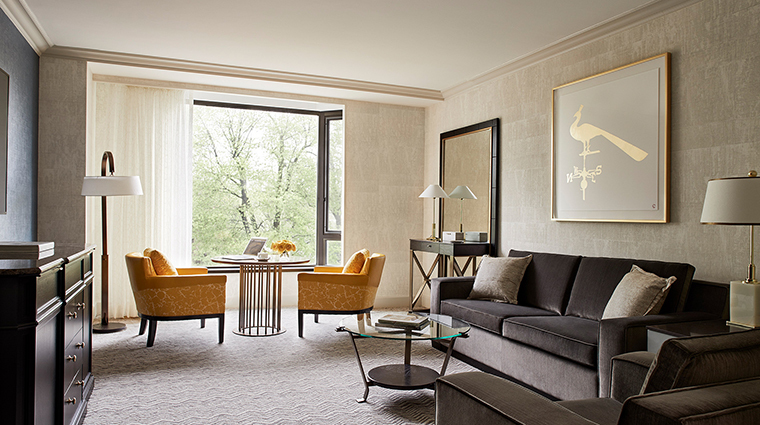 Some of the suites, specifically the Garden Suites, are adorned with black-and-white marble bathrooms — adding a very modern touch to the otherwise traditionally elegant room. 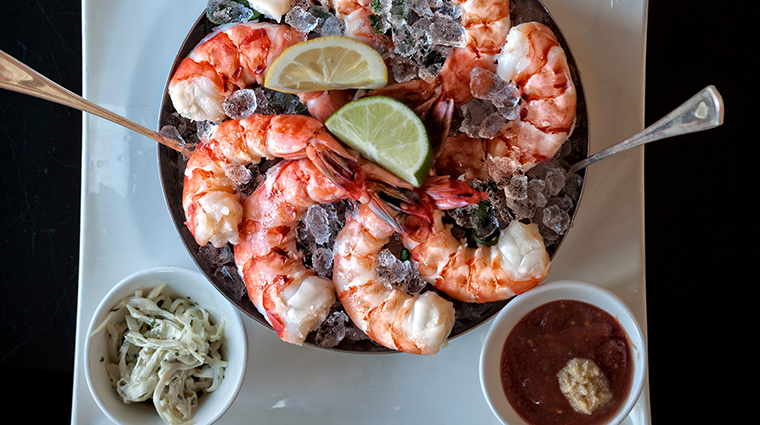 Hailed as “Boston’s living room,” The Bristol is a favorite place for power lunches, afternoon tea, family dining, weekend brunches, after-work crowds and intimate dining. 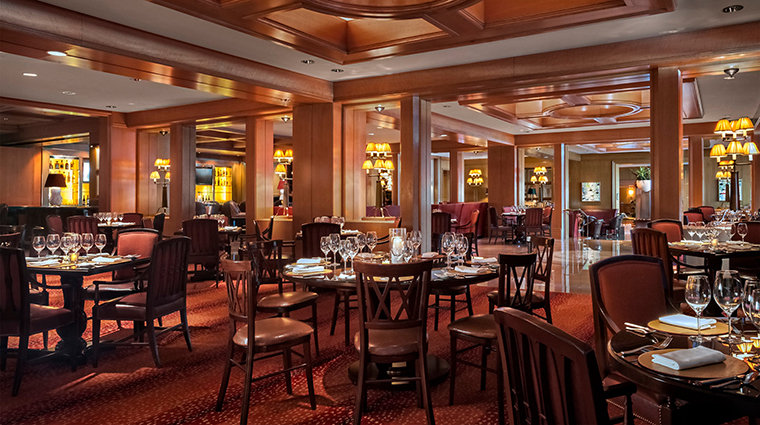 The restaurant is set in warm red and brown tones, channeling the cigar-bar-martini-lunch era. 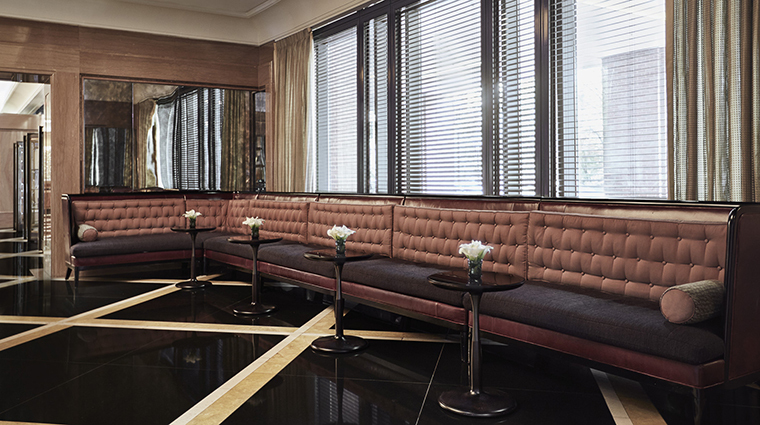 The 127-seat restaurant serves breakfast, lunch and dinner daily. 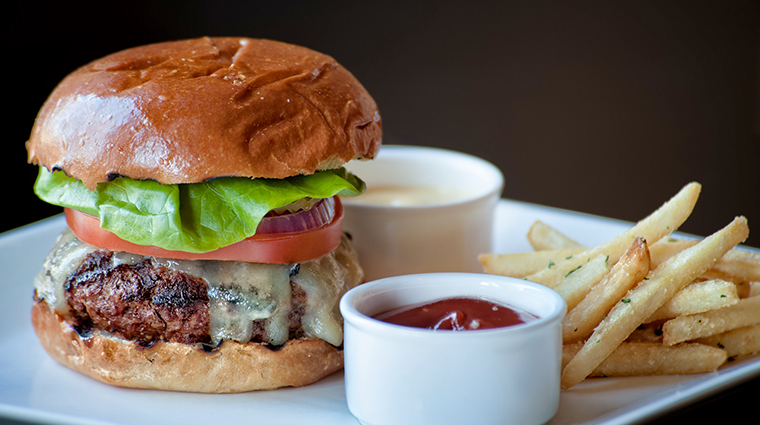 The restaurant is known for its Bristol Burger, consistently rated one of the best burgers in Boston and is served with a heaping side of truffle fries that will send you straight to foodie heaven. 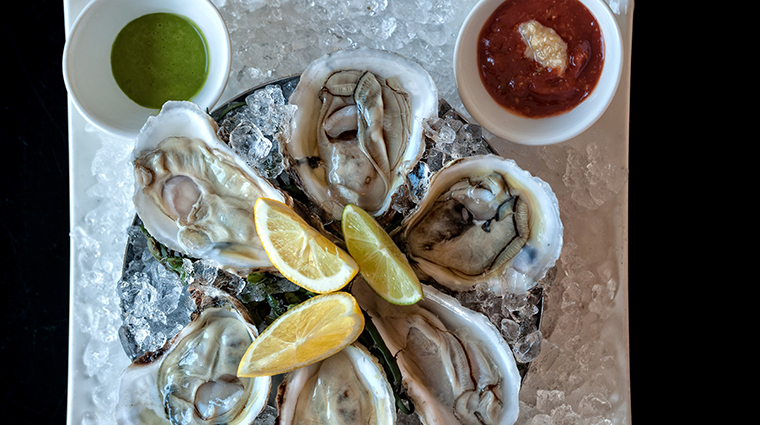 If you’re looking for something a little lighter, try chef Jess Biederman's crab chowder — a sweeter spin on the traditional New England clam chowder and served with house made oyster crackers — or the tuna tartare, one of the most popular menu items. The Bristol's breakfast menu offers up popular items such as the New England crab cake benedict, lemon ricotta hot cakes and croissant French toast, served with New England beach plum syrup.